It takes two words to explain why the Oregon Ducks lost the national championship game to Auburn in the 2010 Sugar bowl – Cam Newton. Things are simpler now. The one word which easily explains the loss by the Oregon Ducks to Ohio State is marijuana. Recall the sports headlines the week before the big College Football Playoff National Championship Game. “BREAKING: Oregon wide receiver Darren Carrington suspended for national title game.” Carrington, a redshirt freshman, had the best performance of his Oregon career during Oregon's 59-20 win over Florida State in the Rose Bowl playoff game when he caught seven passes for a season-high 165 yards and two touchdowns. The week before Carrington had seven catches for 126 yards during the Ducks 51-13 win over Arizona in the Pac-12 title game. Oregon was a two-touchdown favorite the day before Carrington was banned for a positive marijuana test. Later it was announced that Running back Ayele Forde became the second Oregon player to be left home following a failed drug test. NCAA drug test were administered at the Rose Bowl where the Men of Oregon embarrassed Florida State. Oregon was trounced by Ohio State 42–20 and it was obvious to all who watched the game that Heisman winning quarterback Marcus Mariota was missing one of his key lethal weapons that helped the team average 49 points a game. 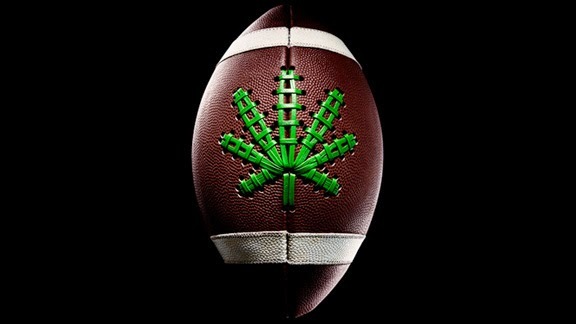 Under NCAA rules a marijuana test is positive if there is more than 5 ng of THC in a blood test. For the NFL it is 15 ng and in MLB it is 50 ng. You think maybe the fact that the State of Oregon voted to go recreational marijuana in the November 2014 election emboldened certain players to get a head start on the July 1, 2015 opening sales day? Oregon’s legalization would have no effect on NCAA drug testing rules. Some say marijuana use doesn't hurt anyone. If you ask Marcus Mariota, and the rest of the Men of Oregon in the locker room after their humiliating defeat, they might have a different opinion. · Stay tuned as this issue continues to create new employer challenges almost monthly.